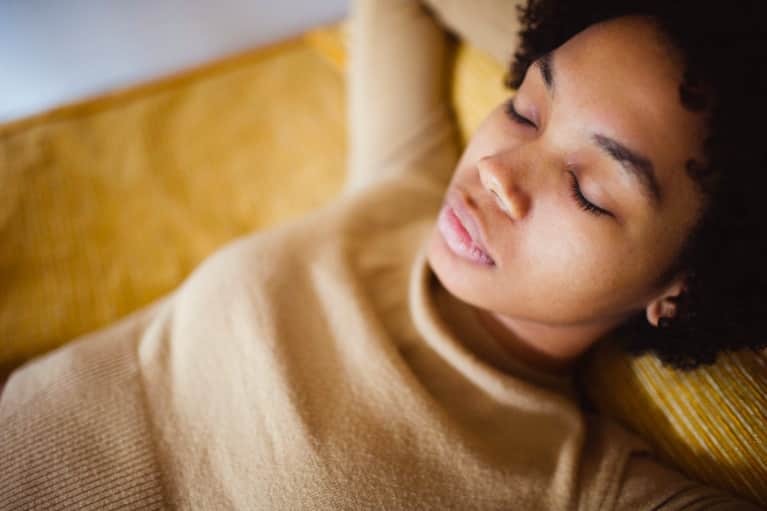 By now, it’s clear how important getting enough sleep is—but a new study published in Lancet Psychiatry indicates that when you sleep can have huge implications for mood, cognitive function, and even risk of developing major depression or bipolar disorder. For the study, researchers tracked the circadian rhythms of 91,000 adults in the United Kingdom to see what kind of impact their daily rhythms had on their mental health. They found that the study participants with more disrupted sleep-wake cycles (meaning they were less active during the day and more active at night) were at a greater risk for developing a mental health issue compared with those who were active during the day and slept soundly through the night. “What comes out of this work is that not only is a good night’s sleep important, but having a regular rhythm of being active in daylight and inactive in darkness over time is important for mental well-being,” said lead researcher Dr. Daniel Smith. While this research is certainly enlightening, keeping a regular daily rhythm is often easier said than done. One great place to start is practicing good sleep hygiene. Experts suggest limiting screen-time before bed, creating a sleep ritual, and getting in bed at the same time every night. It doesn’t hurt to get exercise during the day and avoid caffeine after noon!